"1946 Bench and crowd at N.D.S. 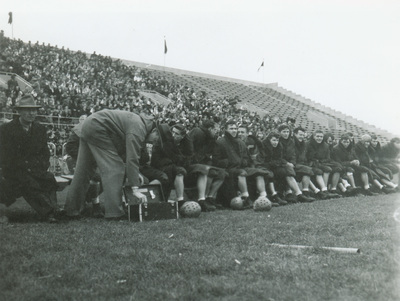 game"
"1946 Bench and crowd at N.D.S. game" (2019). UNI Panther Athletics. 670.